Thomson Reuters Healthcare selected DPCI to implement Typefi Publish, an automated publishing platform that supports the development of richly formatted, brand-compliant documents. Thomson Reuters is the world's leading source of intelligent information for businesses and professionals. The company combines publishing industry expertise with innovative technology to deliver critical information to leading decision makers in the financial, legal, tax and accounting, scientific, healthcare and media markets, powered by the world's most trusted news organization. Among the company's many business units, Thomson Reuters Healthcare is the leading provider of information and services to physicians and other healthcare professionals that help improve clinical and business performance. These solutions inform healthcare decisions affecting more than 150 million people in the United States. Its products and services also help professionals and stakeholders understand healthcare markets, access medical and drug information, manage costs, and improve the quality of care. 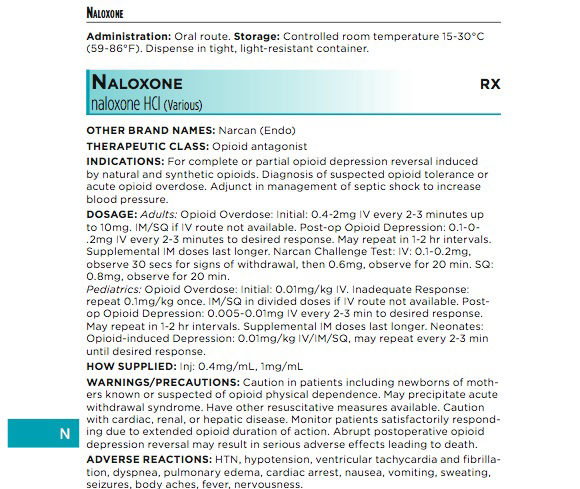 One of the core offerings of Thomson Reuters Healthcare is its publishing business, which creates reference guides such as the Physicians' Desk Reference and the Nurse's Drug Handbook, a 1,000-page book that details specific drug information, including dosage guidelines and adverse effects. Both pharmaceutical companies and healthcare professionals alike depend on Thomson Reuters Healthcare to convey current information about drugs, interactions and considerations through these publications. It is imperative that this information is distributed to healthcare professionals as soon as it becomes available. In order to remain the first choice of healthcare professionals as well as pharmaceutical companies, Thomson Reuters Healthcare knew it had to reduce the amount of time between when information became available and when the publication would be ready for consumers. The previous process for publishing these books required several months of manual layout and composition. Custom and specialty books required the same level of effort as traditional titles. The company knew it needed a more flexibility and efficiency in its publishing environment to address the increasing demand for creating new titles and customized books. The company was looking to improve the process of creating handbooks and thus increase efficiency across the entire division in a multi-phase approach. The first phase included upgrading the current technology infrastructure with a new automated publishing system to improve the production of the handbooks. 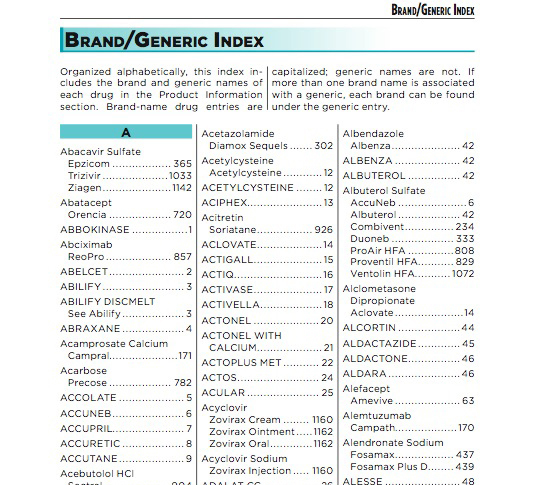 Prior to selecting Typefi Publish, Thomson Reuters Healthcare was able to create some of its products - but not all - by culling drug information from the company's vast database resources utilizing a product selection tool (PST). This data was then imported into a QuarkXPress-based system and required page-by-page manual manipulation before it was ready to be exported into PDF format. This process was time-consuming, requiring months for designers to format. Additionally, indexing all the data in these books had to be performed manually. Many other products, including the various Physicians' Desk Reference books, relied on disparate and unsupported technologies and manual processes. 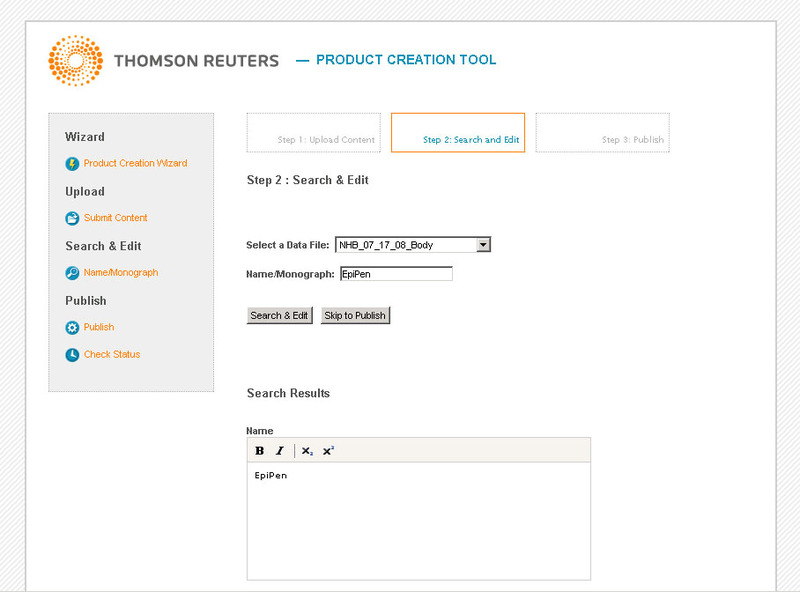 With the Typefi Publish engine in place, DPCI developed a custom front-end application, called Thomson Reuters Healthcare's product creation tool (PCT). Once the source data from the PST is chosen, the PCT transforms the information into a Typefi and InDesign Server friendly XML format. The XML file generated by the PCT not only contains the full body information of the book, but also automatically generates cross-referenced indexes. Within this process, the PCT allows users to select a particular book format with pre-defined styles and trim sets, as well as PDF settings for final press output. It also enables users to customize data on-the-fly, giving them the ability to add or remove certain sections, drugs or text within the book. 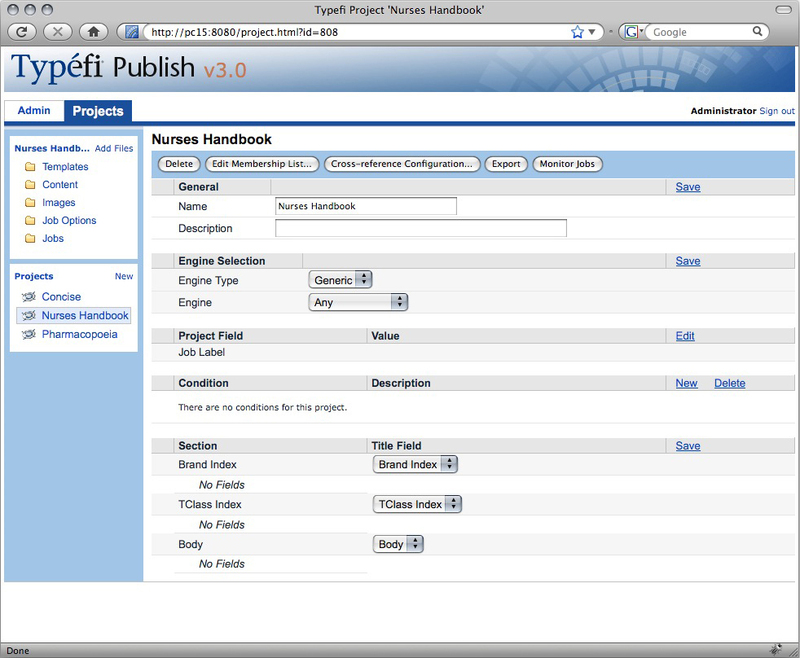 The Typefi Server in conjunction with Adobe InDesign Server composes the book automatically, resulting in a print ready PDF. With the new Typefi Publish system delivered by DPCI, Thomson Reuters Healthcare reduced the amount of time and cost associated with producing its wide range of handbooks. Additionally, the company can offer new specialty publishing solutions to customers, opening up new revenue opportunities. By integrating Thomson Reuters Healthcare's product selection tool with a customized Typefi Publish front-end application, DPCI was able to streamline the publishing process while adding a new level of customization capabilities. With Typefi, a 1,000 page handbook was able to be produced in a matter of hours rather than the several months that it typically took to have a project like this completed.